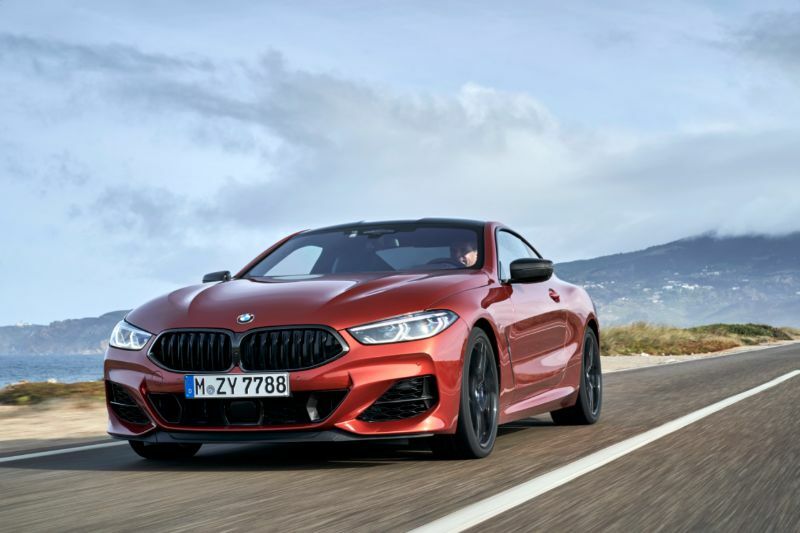 The 2019 BMW 8 Series is the latest version of this series of vehicles from the automaker, and it is ready to deliver plenty of power along with extreme luxury. 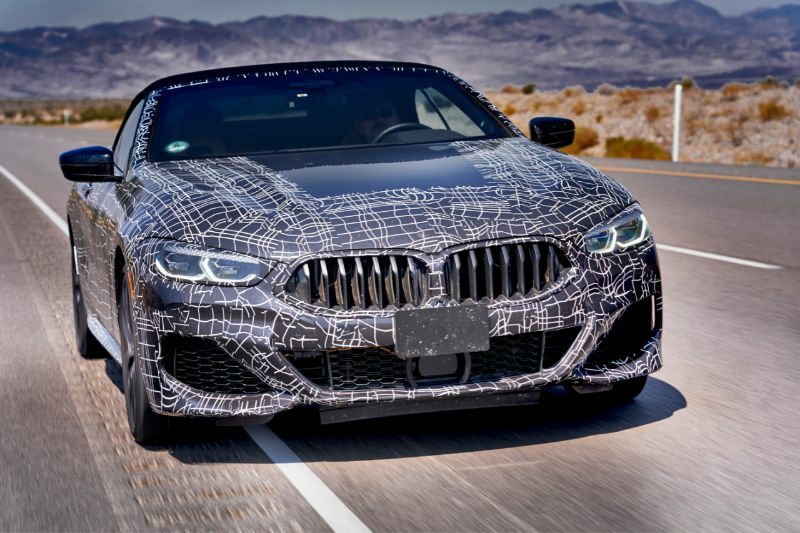 It is currently only available as the M850i xDrive, although more models should be arriving in the future. 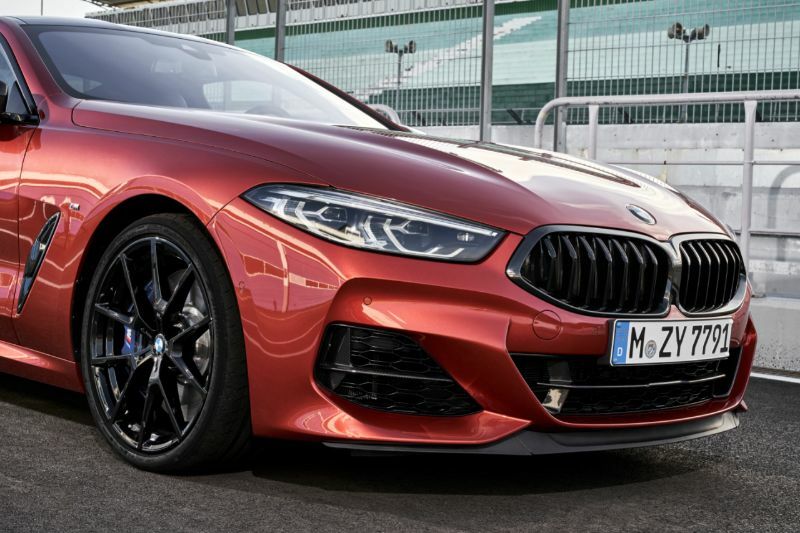 The performance of the BMW 8 Series is outstanding, with the M850i xDrive featuring a 4.4-liter M Performance TwinPower turbo V8. It offers 523 horsepower, high-precision direct injection, and two turbochargers featuring variable valve control. To further enhance performance, this latest BMW also has a sports exhaust system, electronic throttle control, brake energy regeneration, and an auto start-stop function. Enjoy the Driving Dynamics Control system with its modes for ECO PRO, COMFORT, SPORT+, and SPORT. You also get an M Sport differential and eight-speed sport automatic transmission that features shift modes for both Manual and Sport. The 2019 8 Series is sure to catch your eye with its V-spoke light alloy wheels in Cerium Grey, LED headlights, BMW Laserlight technology, aerodynamic kit, and M rear spoiler. At the end, you will notice twin exhaust tailpipes. Comfort is a given with the 2019 BMW 8 Series, as you get 20-way power multi-function seats in front that feature 16-way power sports functionality and extra power adjustment for thigh and shoulder support. They also have two-way manual lateral adjustment for the Comfort headrest and a memory system. Throughout the interior, you will notice Merino leather upholstery, while the instrument panel has a Nappa leather finish. Other nice touches include the anthracite headliner and stainless-steel fabric interior trim. As the range-topping model in the BMW lineup, it should come as no surprise that the 8 Series is loaded with the latest technology. Listen to music on the Harman Kardon Surround Sound Audio System that features a 600-watt amplifier, 16 speakers, and an equalizer. Play your music through the CD player, HD Radio, or SiriusXM Satellite Radio. Or, you can use Apple CarPlay or the enhanced smartphone connectivity that includes simultaneous device pairing and extra microphone and USB connections. The Live Cockpit Professional really stands out with its 12.3-inch instrument cluster display that is complemented by the 10.25-inch central information display. The infotainment comes from the iDrive 7.0 system that you can operate with voice commands, the touchscreen, or the iDrive touchpad Controller. There is also a head-up display so you can keep your eyes on the road. Other technology features include navigation, Bluetooth, 20 GB of storage for multimedia, BMW ConnectedDrive Services, and BMW TeleService. You also can add the Connected Package Professional for features like remote door unlock, hazard preview, and BMW Remote Services. The advanced, luxury nature of the BMW 8 Series extends to safety technology, as well. This includes the Parking Assistant Plus with surround-view cameras, a 3-D view, and Park Distance Control. There is also an Active Driving Assistant with Frontal Collision Warning, City Collision Mitigation, Rear Cross Traffic Alert, Active Blind Spot Detection, and Lane Departure Warning. BMW Assist eCall features Enhanced Automatic Collision Notification and Emergency Request via an SOS button.